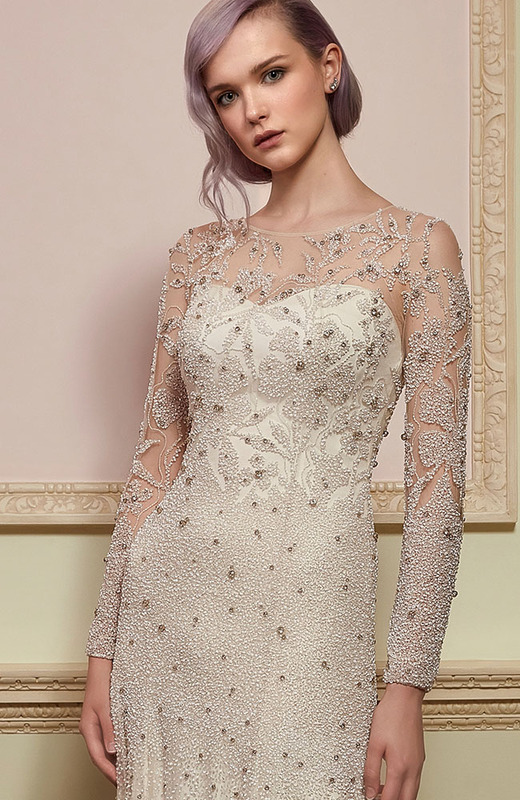 Wedding dress from the Jenny Packham 2018 Collection. Embellished ivory tulle gown. Available internationally with many styles available in petite sizing.